In China, age is a topic often brought up in daily life. Native speakers always use different ways to ask about the age of different people. 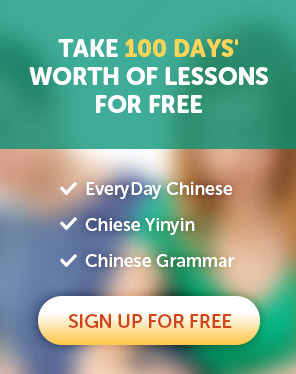 In this video lesson, you are going to learn 9 ways of asking a person's age in Chinese, which are commonly used in real life situations. This is the most common and useful way, it's usually used to ask the age of a young person or someone of one's own age. Lili, how old are you this year? Note：“岁” means “year”. It's a measure word of age. This way is used to ask a kid's age who is younger than 10 years old. “Jǐ” means “how many”. It's used to ask for a smaller number,usually below 10. This is a more polite way to ask a Chinese person's age,but it can't be used to ask kids and teenagers who is less than 20. it's often used to ask an elder's age and used in written Chinese. “Nín” means “you”, it's a polite way to say you. Mr.Wang, may I know your age? To ask the age of an elderly person, one should use this way to show more respect. Teacher Zhang, how old are you? This way can be used to ask people who are over 50 years old. Grandpa, how old are you? Grandpa is sixty-five years old. This is a more polite and respectful way to ask an old people's age. “老爷子(lǎo yé zi)” is a respectful term for old men. If you are over 10 years old, you can just answer the number of your age without “岁”. David, when were you born? I was born in 1993. Lili, when were you born? To express the year in Chinese is very simple,you just need to read the numbers one by one, and then plus the word “年” which means “year”. In spoken Chinese, the first two numbers are often omitted when people express the year. This question is also about the year of birth. But it's more formal than last one. Manager Zhao, when were you born? In Chinese culture, we have twelve Chinese zodiac signs. This question is asking what the person's Chinese zodiac animal is,then you can calculate the age by yourself. Xiaomei, what is your Chinese zodiac animal? My Chinese zodiac animal is monkey.